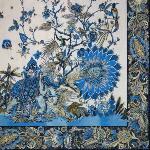 Square Cotton Tablecloth Blue pattern India 61"x61"
Beautiful Square Cotton Blue Tablecloth -India. 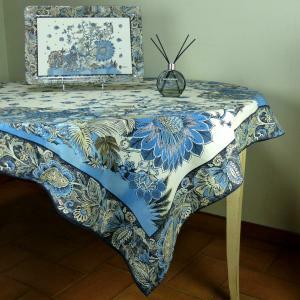 Beautiful bordered Square Cotton Tablecloth, made of 100% pure cotton and high quality dyes, is a wonderful idea to bring an elegant French touch to your home decoration. Timeless and fashionable, Square Cotton Tablecloths look gorgeous also on the round tables due to the matching or contrasting border that makes a very attractive and captivating effect all around. 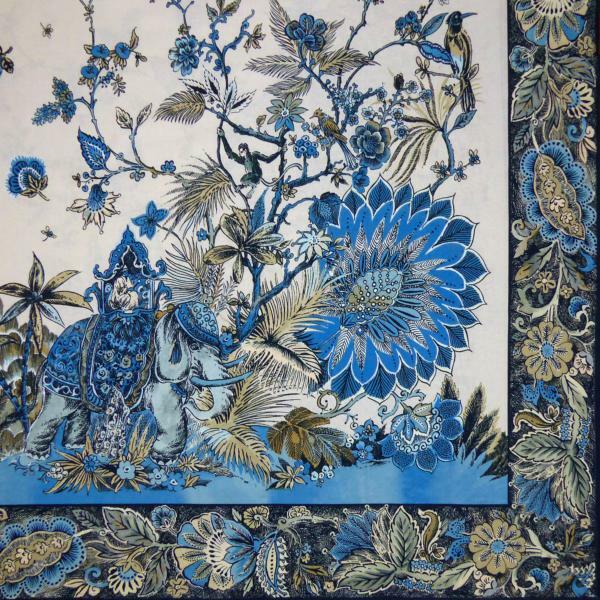 Blue Tablecloth "India" is an illustrative example of cultural transition from seventeenth century till nowadays driven by constant evolution and knowledge. The surprising combination of the gorgeous Indian design perfectly matching with French country pattern and the trendy color palette allow you to create multitude arrangements for your table settings. 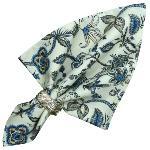 Enjoy the beautiful printed design and the authentic patterns of the most traditional fabrics made in Provence!